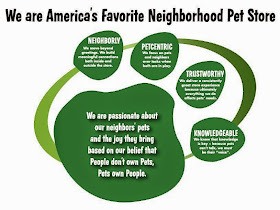 Neighbor Madelyn wrote to tell us of the knowledgeable, neighborly and pet-centric service she got from Brittany at the Morton Grove, Illinois pet center. Brittany impressed her with her knowledgeable approach to a mama feral cat and her stray kittens, making it as easy as possible for the neighbor to take next steps to help this furry family. I would like to tell you about the wonderful experience I had at the Pet Supplies Plus store in Morton Grove, IL. The employee that helped me tremendously was Brittany - she is remarkable and so knowledgeable. I am feeding a stray female cat with 5 kittens and Brittany pointed me in the right direction and answered in the kindest matter possible every question I had. She took the time to show me the correct products I needed. When I told her that I was getting ready to soon do a trap/neuter/release on the stray and her kittens, she even asked if I needed any assistance in rescues. When I told her I would greatly appreciate any help she could offer in that matter, she didn't hesitate a second, and helped direct me in the best direction to handle any and all of my questions in that matter as well. I've always had wonderful customer service at Pet Supplies Plus, but I wanted to let know that Brittany was absolutely OUTSTANDING. Thank you for employing such a wonderful young lady! She has the brightest of futures ahead of her!